Resident sprout lover, Head Chef and wannabe Record Holder, Mark Woodyard, is a big fan of these little green wonders. Par boil sprouts then place onto a sheet of baking parchment with a few lumps of butter, some clementine zest, a small amount of red chilli and some ground black pepper. Tie up parchment with string to form a bag and place in oven to cook for 20 minutes until cooked through at 180 degrees fan. Delicious! And don’t forget, we’ll have our sprout stalk mountain ready when you come to collect your turkey. 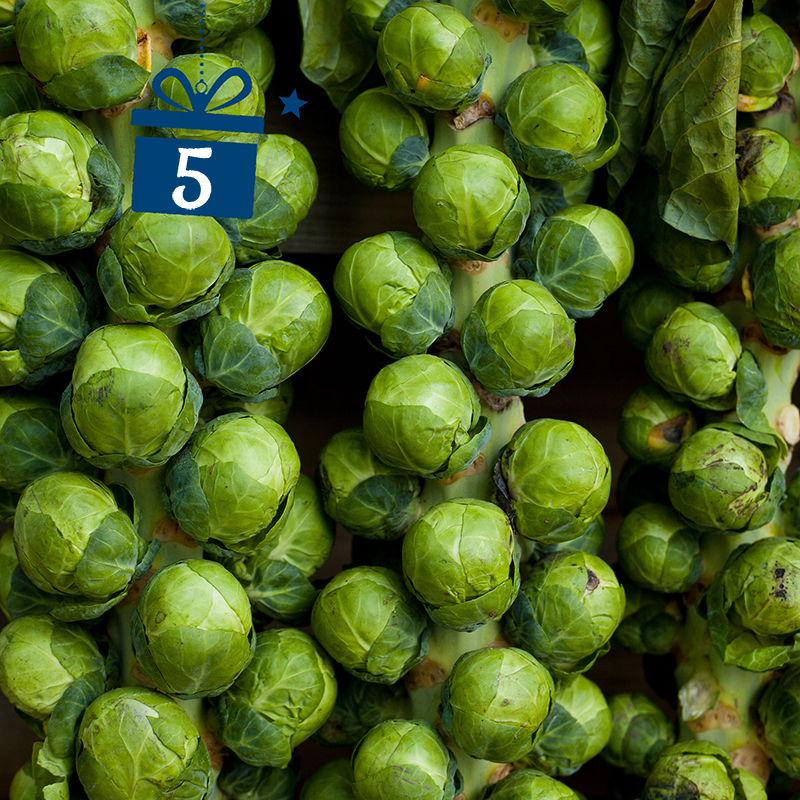 Buy fresh and on the stalk for the sweetest sprouts! * We don’t recommend trying this on Christmas Day. Your family and friends may not thank you.